The Blackhawks have reportedly signed Bowling Green redshirt sophomore defenseman Nolan Valleau to an entry-level deal. 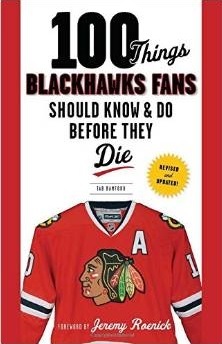 @The1Tab entry-level contract with Chicago. Valleau, 22, recorded a Bowling Green leading 17 assists and added two goals last season. Listed at 6’1, 181-pound, Valleau was named to the WCHA All-Rookie Team after he ranked seventh among WCHA defenseman and seventh among freshman in points. 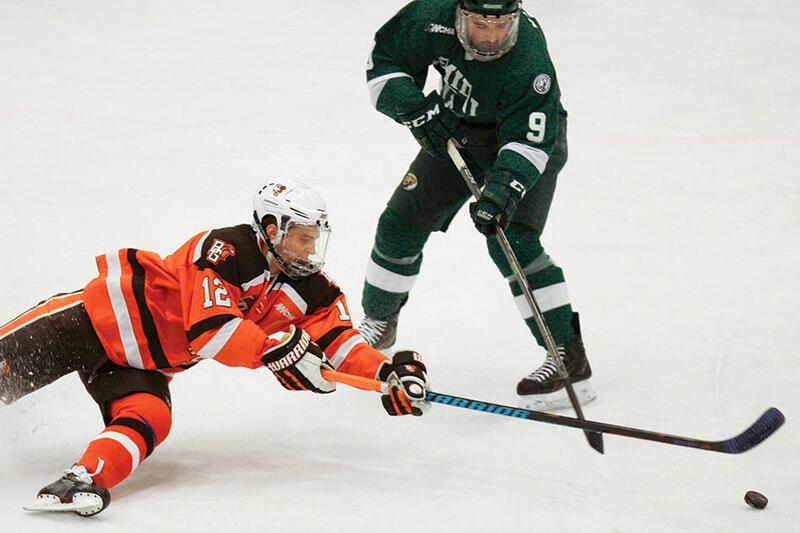 Valleau was third on BGSU with 37 blocked shots and was a contributor on the nation’s second-ranked penalty kill unit. As an unsigned invite, Valleau was impressive at the Blackhawks prospect camp this summer. Now it appears he’ll be part of the organization moving forward. He played 27 games for the Chicago Steel of the USHL during the 2012-13 season. UPDATE: on Tuesday the Blackhawks formally announced signing Valleau. A Detroit area kid, will be 23 in November. Interesting he got an entry level deal and leap frogged an AHL deal like Jardine got. He didn’t really stand out to me when I saw him at prospect camp which shows what I know I guess. He must have stood out to the right people though so good for him. Wow they are getting aggressive signing these guys when they still have college eligibility left. I did notice him at Prospect Camp. He looked pretty good. HOF, I went on Thursday and caught some of the defensive drills. He skated well and had pretty good hands. I even looked him up when I got home. Glad to see that SB is continually on the prowl for new talent, restocking defensemen a great move after the recent loss of guys. Great to just talk about actual hockey stuff!!! Never heard of the guy but take that with a grain of salt. I wonder if they were hoping to get Russo and this guy was the fallback plan. Either way, hopefully he develops into a good one. I missed this kid at camp too, perhaps he wasn’t on the ice when I was there, or I might have just missed him.